Christmas. Meh! 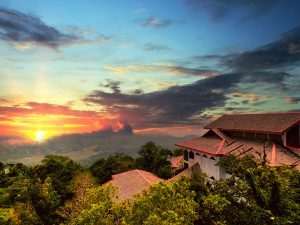 The thought of spending precious time off work with the extended family is enough to send some people packing … to far-flung destinations across the globe. Sound like you? If you’re getting set to jet off on a (non) Christmas holiday, don’t forget to pack some cash – as you never know where you’ll be able to get money out in foreign countries over the festive season. And don’t forget our little festive gift for you! Our currency advent calendar gives you a guaranteed best rate for some of the most popular currencies in the world. Simply visit Rates, find the currency you need and save the date. Then, on the day advertised, we guarantee to give you the best rate going around. 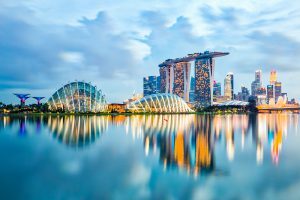 Meantime, if you’re heading to Indonesia, Malaysia, Singapore or the US this festive season, check out our tips for a top holiday. 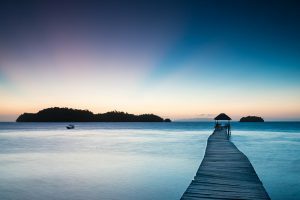 If your idea of the perfect Christmas holiday is complete and utter relaxation somewhere undisturbed, then you won’t get much better than the Togean Islands in Indonesia. Sure, it takes a little effort to get here (off the northern coast of Central Sulawesi, you’re looking at flights, bus rides and ferry rides) but that’s part of the adventure – and it’s the reason why you won’t be jostling for beach space with hordes of other tourists. Once settled in, it’s all hammocks and snorkelling and cold beers. Hard life. Remote Indonesian islands like the Togeans are pretty basic. You’ll need to carry Indonesian rupiah to pay for your nasi goreng and Bintang. Most guest houses and warungs will only accept cash, and there are certainly no banks or ATMs around these parts. Top tip: Put Friday, 15 December in your diary as the day to grab our guaranteed best rate on IDR. At this time of year, the west coast of Malaysia is the place to be. While the east is buffeted with monsoon rains, the west enjoys much more respectable weather. And there’s no better place to enjoy the west coast than Pulau Langkawi. A holiday here is the perfect mix of beachside bliss, bargain hunting and inspirational adventures. Trek the jungles, spot a colourful array of wild animals, swim under waterfalls … the list goes on. All these activities need to be paid for somehow. While there are plenty of ATMs in the built-up areas of Langkawi, you’ll likely be slugged with a hefty fee. BYO ringgit to dodge these fees and make sure your holiday fund is spent on the fun stuff. Top tip: Put Monday, 18 December in your diary to grab our guaranteed best rate on MYR. If you’re spending the Christmas holidays in Singapore, expect plenty of glitz and festive cheer. The shopping strip on Orchard Road transforms with a dazzling array of twinkling lights, and you’ll be hard-pressed not to get caught up in the frenzy of shopping that is oh-so-hard to avoid at this time of year. For something a little grittier, head to Little India, where you’ll experience the Singapore of days gone by. Here, many eateries will only accept cash for meals under a certain amount, so it pays to come prepared for anything. Elsewhere, many places require a minimum purchase of S$20 if you’re paying by card, so if you’re not planning to spend up big, then cash is the way to go. Top tip: Put Tuesday, 19 December in your diary to grab our guaranteed best rate on SGD. There is something hopelessly romantic about ice skating on an outdoor rink in the middle of New York City. The rink in Central Park is a sight to behold, day or night. 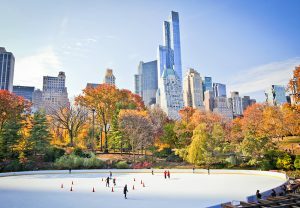 Whether you’re a novice or a skating pro, it’s definitely something to tick off the bucket list if you’re in the Big Apple. After a session on the ice skating rink, you’re bound to be hungry. Fortunately, NYC is renowned for its street food. At this time of year, think hot roasted chestnuts, tacos, tortas and more. You’ll need cash for these treats; if you’re eating at a diner, you’ll need it for tipping, too. Top tip: Put Wednesday, 20 December in your diary to grab our guaranteed best rate on USD. Wherever you choose to spend your holidays, grab the best deal on the currency you need with WeXchange. Head to Rates now to save the date for when we’re offering best in market rates for the currency you need.